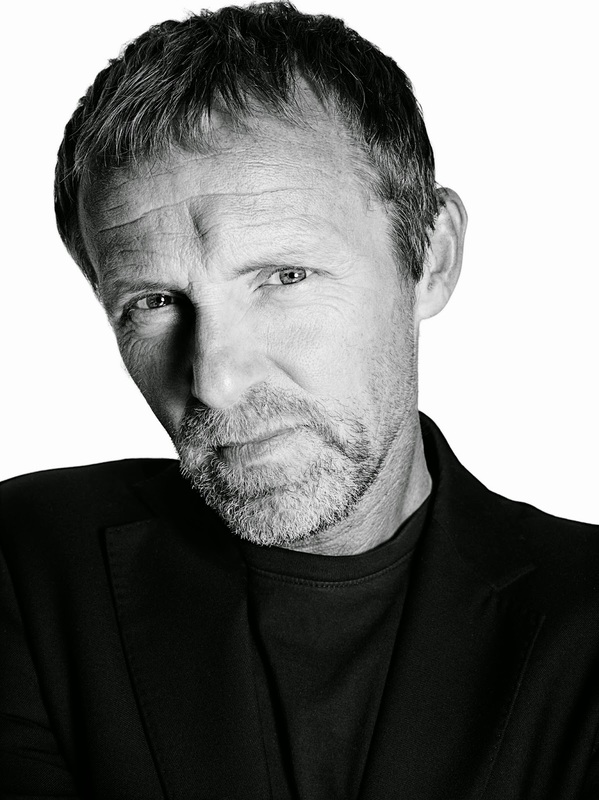 Jo Nesbo, one of the world’s leading crime writers, who dominats the bestseller charts and is published in 40 countries, is heading to Harrogate. Nesbo will appear on April 8 at the Old Swan Hotel at a special launch event with the Theakstons Old Peculier Crime Writing Festival, where the full 2015 festival programme will be revealed. The number one best-selling author of the Harry Hole series set in Oslo will discuss his new thriller, Blood on Snow on the eve of its publication with acclaimed broadcaster Mark Lawson. They’ll also discuss the globally popular Harry Hole books, soon to be turned into a film. Nesbo has made appearances at the Festival in 2008 and 2010 but it was his appearance as a Special Guest at the 2012 Theakstons Old Peculier Crime Writing Festival that became one of the largest events in the festival’s history. This one off evening with the King of Scandinavian crime also offers the chance to be one of the very first to get your hands on a copy of Blood on Snow as it is not released until the 9 April. Jo Nesbo will also be signing books after the event. Join the crime writer, rock star and former professional football player at this exclusive pre-publication event. Tickets are now on sale, £13 per person. Please note that all bookings are subject to a £1.75 transaction fee. Today’s guest blog post is by the award-winning author Adam Christopher. Adam Christopher is a novelist, comic writer and editor. His novel Empire State was awarded SciFiNow’s Book of the Year and Financial Times Book of the Year for 2012. In 2013, he was nominated for the Sir Julius Vogel award for Best New Talent, with Empire State shortlisted for Best Novel. He is also the author of Burning Dark, Hang Wire, The Age Atomic and the forthcoming The LA Trilogy. He brings his passion for Sherlock Holmes and Elementary to The Ghost Line and gives fans of the series a chance to immerse themselves even deeper into Sherlock's world. Elementary: Ghost Line follows Sherlock Holmes and Joan Watson as they're summoned to the scene of a brutal murder only to be confronted with the body of a subway driver, riddled with bullets. In the Hell's Kitchen apartment they also discover a stash of money but who would want to kill a subway driver? Writing Elementary: The Ghost Line was fun. In fact, it was the most fun I’ve had writing, I think. Tie-in fiction is a strange beast—the story is yours, but you have to fit it into a pre-existing universe, which isn’t. You can create your own supporting characters, but the stars of the story are ready-made, supplied fully formed and ready to roll. As you can imagine, this is a double-edged sword. As a fan of the show, I’d like to think I know the characters (and the universe they inhabit) inside out and back-to-front. Creating a story to fit the world, and placing the show’s characters within it, was the proverbial kid in a candy store moment. But here’s the thing with a tie-in: you have to get it right. Jonny Lee Miller’s Sherlock Holmes is so distinctive, his portrayal of the character so nuanced and complex that it had to be absolutely, 100% right in prose. Likewise Lucy Liu’s Watson, a character so perfectly balanced against Holmes, that balances guiding the characters together through the story. While the show’s scriptwriters have Miller and Liu to drive the characters with their performances, for The Ghost Line, I was on my own. And if I made a mistake, then it wouldn’t ring true to the show. Fans reading the book want to experience Elementary as they know and love it. So I had to get it right. My primary resource for this book was therefore the obvious one: the TV show itself. Which I watched, and re-watched, and re-watched. Every day of writing began with an episode to immerse myself back in the world and the characters. Every lunch break meant another episode. During the writing itself I would pause, check an episode, freeze-frame through a scene until I found the exact reference I was looking for—it could have been a line of dialogue, it could have been a reference to a previous unseen adventure (or, sometimes, to the Holmes canon itself). It could even have been a facial expression or what someone was wearing. While The Ghost Line is an entirely original adventure, it can be slotted between TV episodes seamlessly. So these details had to be checked, and checked, and checked again. But like I said, I’m a fan, first and foremost. Elementary is my favourite show, and writing the book was a dream. Getting it right was my prime directive. The other challenge was writing a crime/mystery set in New York City. Now, NYC is my favourite place in the world. I’ve been there several times, and each time I’ve discovered more and more about this amazing city. But while I like to think I know about the place, I don’t live there. 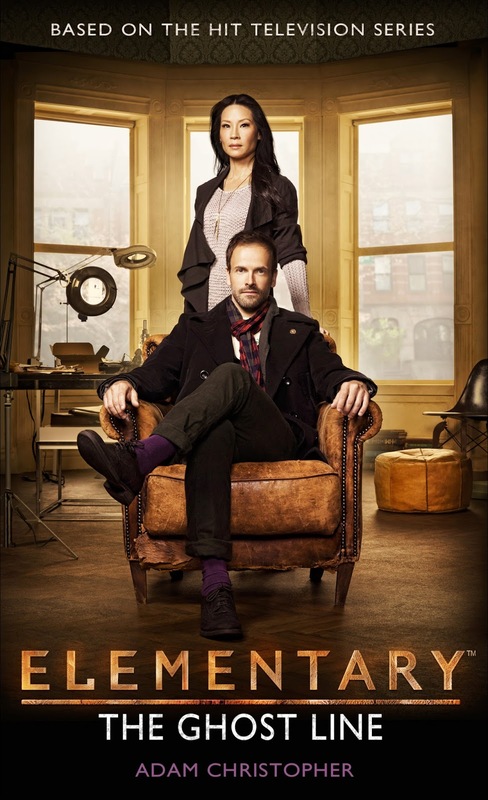 In Elementary, Holmes and Watson live in a brownstone in Brooklyn. New York City is as much a character of the show as the two leads are themselves. You can follow Adam Christopher on Twitter @ghostfinder and you can find him on Facebook as well. The Insect Farm is a cleverly plotted mystery of love, jealousy and suspense. Brothers Jonathan and Roger Maguire each have an obsession. For Jonathan, it is his beautiful and talented girlfriend Harriet. For Roger, it is the elaborate universe he has constructed in a shed in their parents' garden, populated by millions of tiny insects. But Roger lives in an impenetrable world of his own and, after the mysterious death of their parents, his brother Jonathan is forced to give up his studies to take care of him. This obligation forces Jonathan to live apart from Harriet – further fuelling his already jealous nature. Their lives are abruptly shattered by a sudden and violent death, and Jonathan is drawn into a cat-and-mouse game with the police. Does Roger know more than he is letting on? 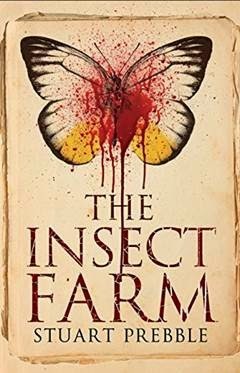 A cleverly plotted mystery with a shock ending, The Insect Farm – Stuart Prebble’s awaited new novel – will linger long in the mind of its readers. Stuart’s career spans a range from BBC news and documentaries, through music and factual entertainment, to ITV’s World in Action and as former CEO of ITV. 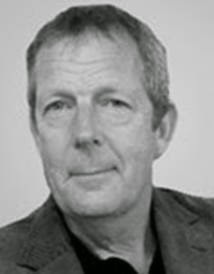 Stuart was one of the founders (with Andrea Wonfor) of Liberty Bell Productions, where his programme credits include the Grumpy Series, 3 Men in a Boat, Willie’s Wonky Chocolate Factory, the Alastair Campbell Diaries, The Book Show and Songbook. He sold Liberty Bell to Avalon and in 2011 started Storyvault Films. Stuart is also the founder of a website designed to collect individual memories that can be found at www.storyvault.com. For further information contact Emily Banyard or Annabel Robinson at FMcM on 0207 4057422 or email Emily or Annabel. If you were registered for the Long Beach Bouchercon last year, or the one upcoming in Raleigh, you will be receiving ballots in a day or so, (Saturday, Feb 28) to nominate books and stories for the 2015 Anthony’s to be awarded in Raleigh in October. However, the links to the ballots are being sent via email, and emails being what they are, it will be inevitable that many won’t receive them because of spam filters, firewalls and other reasons. So if you can set your emails and servers to allow mail from Survey Monkey (www.surveymonkey.com) or Bouchercon or Anthony Ballots, or just check your spam traps, that will hopefully cut down on undelivered ballots. If you want some further info, and a sneak peak at the ballot worksheet, check out http://www.bouchercon.info/process.html. Remember, you are all members of Bouchercon, and the related success of the Anthony’s, being a fan-based award, are directly related to your participation. Happy nominating and thank you! Today’s guest blog is by author Hans Olav Lahlum. He is also a historian, a World Champion chess player and a biographer. His series of crime novels are set in 1960s Norway and inspired by the Golden Age. 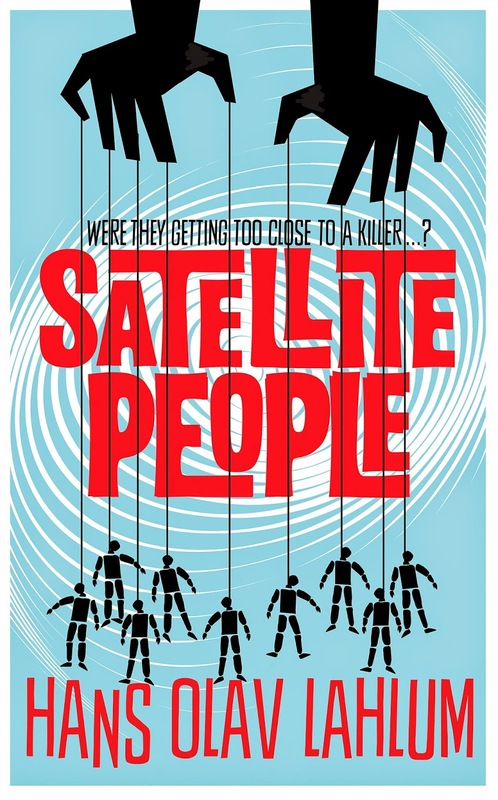 His most recent novel is Satellite People and is dedicated to Agatha Christie. Hans Olave Llahlum is a big fan of Agatha Christie and her influence shows throughout Satellite People. Today he is trying to explain his Christie fascination. “Lahlum is nothing but a reborn Agatha Christie”, was the conclusion in one of the Norwegian newspaper reviews about my third criminal novel. It was actually one of the most critical reviews I had that year. The reviewer intensely disliked classical crime in the style of the Golden Age and considered it without any relevance for today’s literature. Three years later I still disagree with him. 40 years after her death, Agatha Christie remains the empress above the many new “crime queens”. No other crime writer has yet been able to surpass the creative and logic plots from her best novels. True enough she wrote too many not very good novels. Still her top ten can qualify for an all time top 25 list of crime literature plots. Not for no reason they are still reprinted in notable numbers all over the world. Neither for no reason she has still sold better than any other novel writer in the history of literature worldwide – and more than any French novel writer in France. Still, my on-going fascination for Agatha Christie hides somewhat mixed feelings. One might well argue that she remained a genius crime writer for five or six decenniums, without ever developing into a great novel writer. It seems somehow she, despite an obvious talent, never really tried to become one. Many well-qualified readers consider the characters in her novels too cardboard. Myself I too often find they work out more like chess pieces – just moving around the board to complete her master plans, living like stereotypes and not leaving much of a personal touch. As much as I admire Christie and as much as I enjoy her best crime novels, I am still inspired by her work only about plots. Although having some principle similarities to Poirot and Captain Hastings, my two main characters are more inspired by Conan Doyle than Christie. Simeon remains my main inspiration regarding the characters minds and feelings as well as for the descriptions of their environment. Whether Agatha Christie is the greatest crime writer of all time depends much upon whether you consider characters or plots the most important thing in a criminal novel. But anyway she is one among the greatest also seen in the retrospect mirror from our time. I am still fascinated by her books – and still feel proud every time my own crime novels are compared with them. Oslo, 1969. When a wealthy man collapses and dies during a dinner party, Norwegian Police Inspector Kolbjørn Kristiansen, known as K2, is left shaken. For the victim, Magdalon Schelderup, a multimillionaire businessman and former resistance fighter, had contacted him only the day before, fearing for his life. It soon becomes clear that every one of Schelderup's ten dinner guests is a suspect in the case. The businessman was disliked, even despised, by many of those close to him; and his recently revised Will may have set events in motion. But which of the guests - from his current and former wives and three children to his attractive secretary and old cohorts in the resistance - had the greatest motive for murder? With the inestimable help of Patricia - a brilliant, acerbic young woman who lives an isolated life at home, in her wheelchair - K2 begins to untangle the lies and deceit within each of the guests' testimonies. 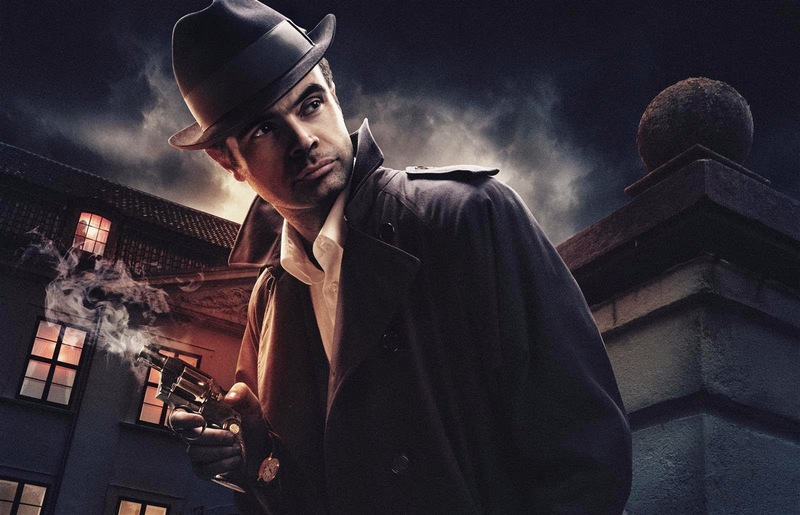 But as the investigators receive one mysterious letter after another warning of further deaths, K2 realises he must race to uncover the killer. Before they strike again . . .
You can follow him on Twitter at @HansOlavLahlum and you can also follow him on Facebook.